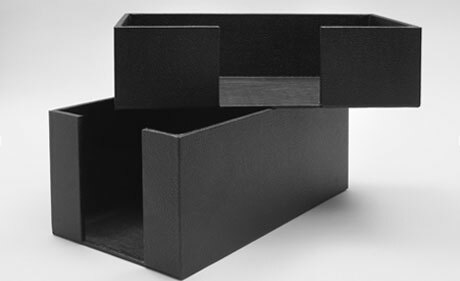 We manufacture a wide array of display and storage items suitable for many industries. Our manufacturing facilities allow for customization of all of our products and with a fast turnaround. 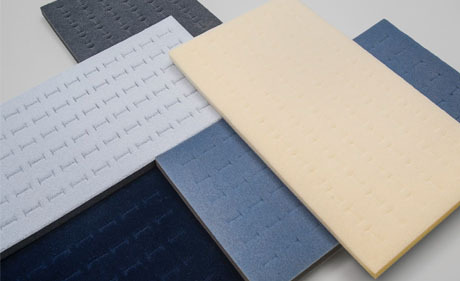 Any of our products can be made in different sizes, colors, or fabrics with expert craftsmanship. We also carry an extensive selection of imported products to suit any need. 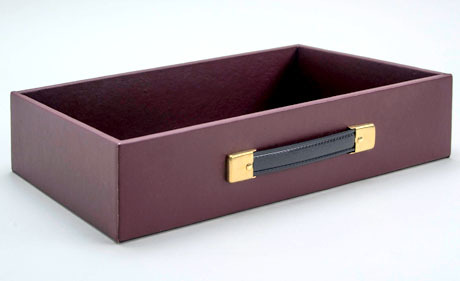 Any size tray can be made with a cut-out for easy access and more storage capabilities. Cut-Out sizes can vary to your needs. Available in clear acrylic or solid lids. 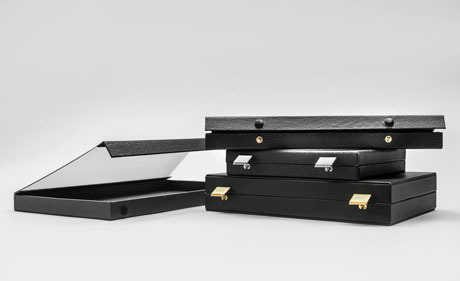 Secure lids to tray with an option of metal or VELCRO® Brand fasteners. Latches are also available. 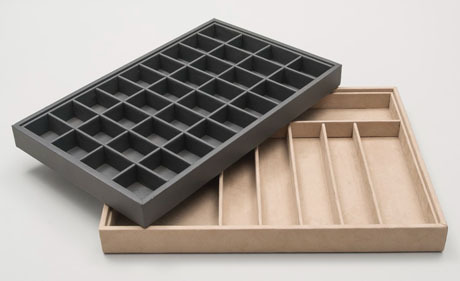 Add a stack to trays for better organization and cleaner storage. 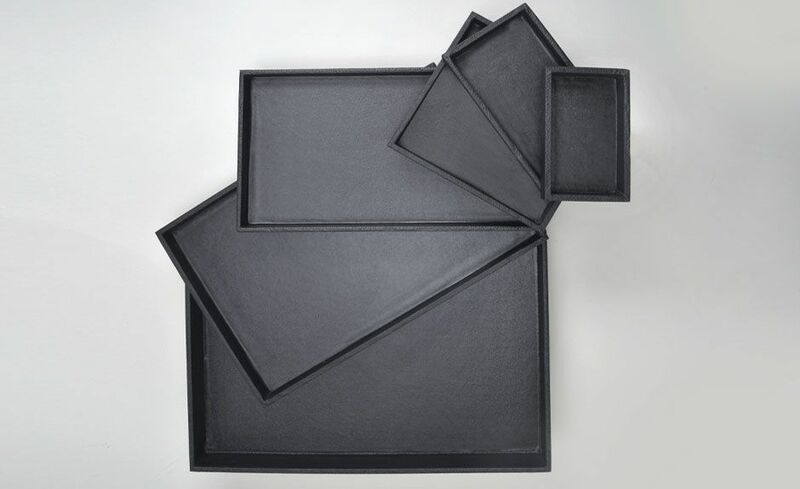 Stacks are available for any size tray and can be wrapped in your choice of fabric. 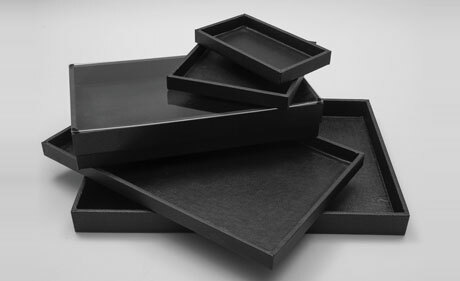 Plastic forms made to fit our Regular Size trays (7 ½ x 14). We stock forms to fit 10, 18, 24, 36, and 50 spaces. Vacuforms are available in different colors. 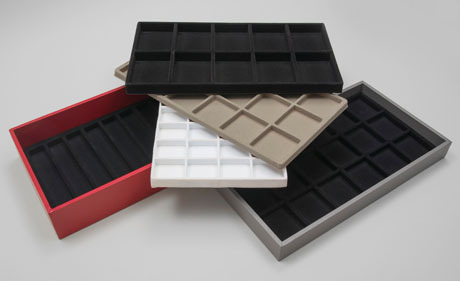 We can custom manufacture inserts for our trays to spec.